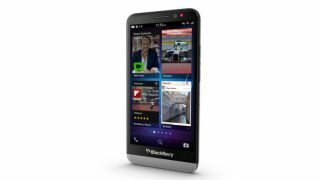 BlackBerry has confirmed that it will roll out the BlackBerry OS 10.2 update this week. That means that BlackBerry Z10, Q10 and Q5 owners will soon have the opportunity to download and install the software update. Exactly when you receive the new software will depend on what network you're on, but Europe, Canada, the Middle East, Africa and Asia Pacific are first in line to get the 10.2 upgrade. Interestingly, the US faces a bit of a wait: BlackBerry says the US roll out will start "this winter". It comes with "hundreds of refinements" including automatic prioritisation of your inboxes, upgraded keyboard smarts and "enhanced" copy and paste. As rumoured, you'll also be able to see message previews of BBMs, texts and emails when you're in other apps, with the ability to reply in those dynamic notifications too. Check out BlackBerry's run down of the main features on its blog post here, and keep your eyes peeled for the update soon. And if you simply can't wait for the update to roll out you can always dash out and buy a Z30 which ships with 10.2 on board.